The Distant Sphere Of Frozen Comets! The Oort cloud is a theoretical cloud of icy debris that is believed to encase the solar system and possibly extend beyond 50,000 AU (that’s nearly 1 light year distance!). There is suspected of being a disc-shaped inner Oort cloud and the larger spherical outer Oort cloud which are both beyond the heliosphere (region of influence of the Sun’s solar winds) and in interstellar space. No confirmed Oort cloud object has been seen, but it may be the source of all long-period (and possibly some of the short-period) comets. 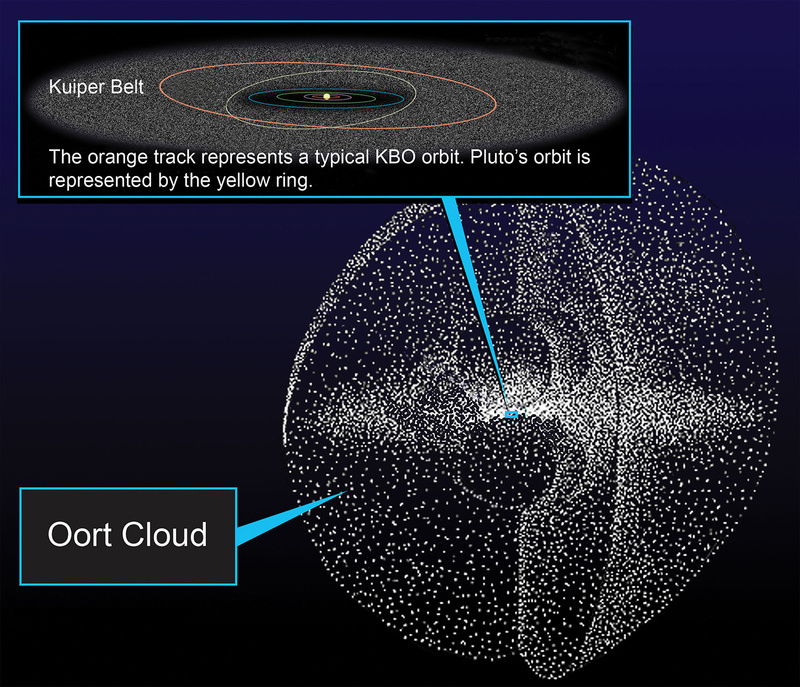 More Interesting Facts About The Oort Cloud! The existence of the Oort cloud is postulated largely because for long-period comets (those that enter the inner solar system once or take thousands to millions of years to orbit) rich in volatiles compounds that boil off to form their bright comas, there must be a large reservoir of icy objects deep in the outer solar system. If there wasn’t, comets of the past would have either impacted the Sun (or one of the planets) or had all their icy volatiles boiled away already. The Oort cloud is the outer region of the three trans-Neptunian regions (along with the Kuiper belt and Scattered disc). The outer Oort cloud is spherical in shape and may extend outward over 50,000 AU (maybe further) in distance from the Sun. The objects of the Oort cloud (if analyses of comets represent their makeup is correct) likely consist of ices and froze volatiles such as water, methane, ethane, carbon monoxide and hydrogen cyanide with some rocky debris that resembles asteroids. It is uncertain but there is likely to be billions (if not trillions) of objects in the Oort cloud that can potentially be gravitationally perturbed by other passing stars (or strangely by the tidal forces that the Milky Way galaxy itself exerts!) which sends them into the inner solar system to form the comets we see today. It is the long-period comets, such as comet Hale–Bopp whose orbits last for thousands of years, which are thought to originate in the Oort cloud because of the distance they would travel deep into the outer solar system over that time and the random direction they approach the Sun at. 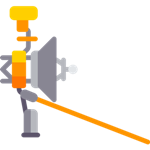 There are no plans to send a space probe to study the Oort cloud however, the Voyager I spacecraft is racing towards it at over 61,000 kph (38,000 mph) and yet it will still take 300 years to reach the Oort cloud. Unfortunately the space probes power supply with be too low after the year 2025 to return any data.